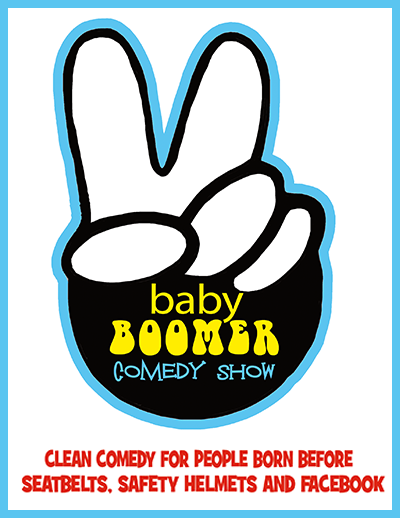 BABY BOOMER COMEDY SHOW RETURNS IN 2018! Performing to sell-out crowds nationwide, veteran comedians and fellow Baby Boomers, Jan McInnis and Kent Rader, have joined together to perform The Baby Boomer Comedy Show. Clean comedy for people born before seat belts. This show is filled with clean humor on topics the boomer generation can relate to; family, kids, work, do-it-yourself projects, dieting, aging, and grandchildren. It is a perfect show for anyone from the Boomer generation. Don’t miss out on this evening of pure laughs.